You can ask your service providers to send you verification photos of their work once it’s complete. This gives you peace of mind and a record of each clean. To request a verification photo, tap the "Ask service provider for a photo of completed tasks" button on any photo slide you created in your checklist. 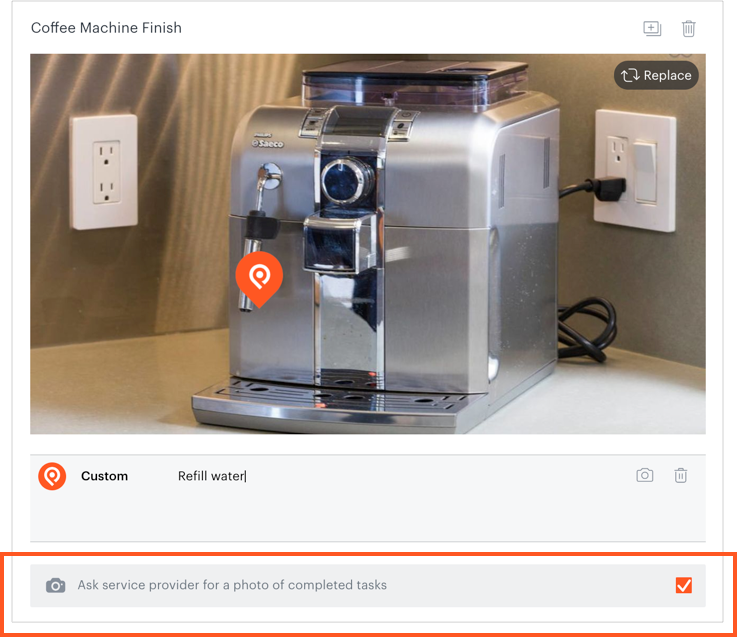 When the service provider goes through your checklist and checks off the tasks in the photo, they’ll receive a prompt asking for a photo of the task. You can view whether a service provider has sent all the verification photos you requested in the job summary.